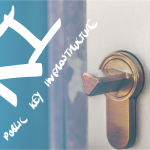 Ahh, the Public Key Infrastructure. It’s sounds monolithic doesn’t it? That’s because it is. Don’t try to understand it by yourself. You need an expert. You need Vonnie. You need to read on playa. Last updated by vonnie at November 9, 2015 .